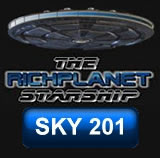 This programme will also be broadcast on Sky Channel 201 on Friday the 29th of October. There was an awful lot Richard and I wanted to discuss but only a limited amount of time for the programme. I hope we covered the most important subjects. I am very much interested in adding http://hpanwo.blogspot.com/ in my blog http://the-american-history.blogspot.com/. Hi MS. Thanks, mate. BBANWO? Sounds like a good idea. Anyone can form their own ...ANWO I say. It's best when it's a job that's not got much Conformist status; this kicks the system in the teeth. Hi Alfred, No problem, mate. Thank you. I've added a new HPANWO Voice story to the links at the foot of this article. looking for different type jobs then they use these tips for clear their interview. a liking for the candidate. The dude is totally right, and there is no suspicion.